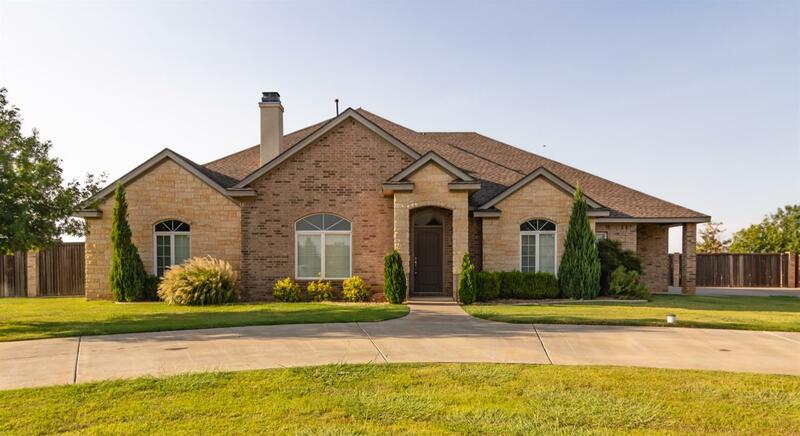 Stunning custom built 4/3.5/4 in Llano Estates! Wonderful open floor plan greets you as you walk in. Large living area with stone fireplace. Kitchen has a large island/breakfast bar, tons of storage & countertop space, a huge pantry with pull out drawers a wet bar or buffet to entertain your guests. With this flexible floor plan you can have a formal dining area as well as an informal eating area or either of your choice. The second living area sits behind the kitchen, has a half bath and access to backyard. The master & another isolated bedroom are downstairs. The master suite is complemented with a fireplace, wonderful bath with steam spa shower, 2 person sauna tub & walk in closet built as a safe room. 2nd bedroom has an outside entrance which makes a great office. 2 bedrooms & theater room are upstairs. The theater room could also be a 5th bedroom if needed. Extra deep garage w/1 stall having 13' door & 15' ceiling. Covered back patio with outdoor kitchen, room for pool.